*EET (Central European Time) is equal to GMT+2. Please note that during the period from 24/12/2015 to 04/01/2016 trading conditions and margin requirements are subject to change. Furthermore, there may be periods of decreased liquidity in the market for certain trading instruments during these dates. TemplerFX reserves the right to switch instruments traded with low liquidity into "Close only" mode or to temporarily freeze trading on these instruments without prior notice if necessary. We ask our clients to be cautious when making trades or placing orders at the period mentioned above. All current and new TemplerFX clients are eligible to take part in TemplerFX's 2015/2016 Christmas Bonus Campaign. Qualifying clients earn a 10% bonus credit on all deposits between December 14th 2015 and January 15th 2016 up to a cumulative bonus amount of $15'000 per account( $30'000 per customer). Get an extra +5% (+15% in total) Bonus for bank wires , +3%( +13% in total) for WalletOne™ transfers and +2%( +12% in total) for Payment via PayAnyWay™! Minimum stop and limit distances changed 10 times from 5 to 0.5 points. For more detailed information contact our Customer Service team by phone +44 20 33557076 from 9:00 EET to 22:00 EET, Monday – Friday. All current and new TemplerFX clients are eligible to take part in Templer's 2015 Autumn Bonus Campaign. Qualifying clients earn a 10% bonus credit on all deposits between October 5th 2015 and October 30th 2015 up to a cumulative bonus amount of $15'000 per account( $30'000 per customer). Get an extra +5% (+15% in total) Bonus for bank wires , +3%( +13% in total) for WalletOne™ transfers and +2%( 12% in total) for Payment via PayAnyWay™! Thank you for choosing TemplerFX! -and finally earn a +10% Bonus on all Wallet One card transfers made by 18th of September, 2015. TemplerFX Company is glad to present you new member's area, which is designed to present full information properly and make it acceptable for user. Here you can easily interact with the company and your trade account due to wide spectrum of available functions; user friendly and intuitively understandable interface helps making your search easier and work process becomes comfortable. New member's area is designed according to the wishes, comments and suggestions expressed by our company's clients, it is really easy and comfortable to use our new member's area as it has wide range of different functions which make information search and presentation much easier. 1. Our security system is improved, your personal information privacy is guaranteed. We provide multilevel protection of any information sent including documentation and passwords and your personal settings. 2.Automated processing of withdrawals and deposits due to a new system .Any operations regarding incoming and outgoing funds, as well as further crediting trading terminal balance became more comfortable and visible. 3.Our demo account registration made in two clicks will help you to save your time and to improve your skills of terminal usage. Simple and fast demo account opening is a good imitation of real market conditions. 4.As we are widening trading account work potential, some new payment systems were added, including local payment systems. 5.TicketSupport updated version has advanced facilities to create and manage tickets, which helps the company to provide faster and effective service to its customers. Our new member's area is a composition of work experience of our customers and modern technologies. 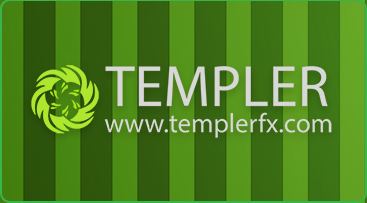 You may access member's area from the main page of TemplerFX website. If you have an account with TemplerFX , please, log in to Member’s Area by entering login and password of any live account of yours. Unlock all features by passing verification process. Binary Options trading continues to gain momentum among traders all over the world as one of the fasted growing investment products. The recent announcement by the UK government that binary options are set to be regulated as a financial trading product by the Financial Conduct Authority (FCA) further adds to the credibility of binary options for brokers and clients alike. -customers can trade new types of binary options such as Even/Odd and Big/Small. TemplerFX bases MT4 Server time on “5pm New York”, the internationally recognised end-of-day in the forex markets. The only noticeable change that you will experience is that the Market Watch time in MT4 will now be set at GMT+2. This might not affect your trading at all – however, depending on your timezone, this may cause the market to open one hour earlier on Monday. The MT4 server time will still open at 0:00 on the charts, this may just be an hour earlier for your time-zone. If you are using an EA with a GMT offset time, then you must change the GMT offset to +2 just prior to the 26th of July. If you have any questions or need assistance we are here to help you. We're glad to announce yet another option for our clients to make account withdrawals and deposits. PesaPal is an electronic payment system which allows you to transfer money instantaneously over the internet. You can deposit to your PesaPal "electronic purse" through a wire transfer or a credit/debit card . Withdrawals can be made by a transfer to a PesaPal e-wallet. PesaPal has already become popular in Eastern Africa region, including in Kenya, Tanzania,Uganda, Zambia and Malawi. We hope that PesaPal will make life easier for our clients in this region as well. All current and new TemplerFX clients are eligible to take part in Templer's 2015 Summer Bonus Campaign. Qualifying clients earn a 10% bonus credit on all deposits between July 6th 2015 and July 31st 2015 up to a cumulative bonus amount of $15'000 per account( $30'000 per customer). Get an extra +5% (+15%in total) Bonus for bank wires , 2.5%( 12.5% in total) for PayAnyWay™ transfers and +2%( 12% in total) for Payment via SST/payment terminals! the spread may be widened and instruments may be set to Close Only mode. lease make timely changes to the size of open positions and reconfigure Expert Advisors where necessary. Dear customer, Templer FX is thoroughly selecting liquidity and data providers in order to offer the best quotes and execution. Though despite filtration glitch quotes are still part of our business. Please note that one of our providers has let several glitch quotes infiltration for _BRN ( BRENT Oil) symbol. We've already turned this data source off. All TP, SL, SELL STOP, BUY STOP, BUL LIMIT, SELL LIMIT and any market orders affected by nonmarket prices are to be cancelled/edited with reference to real market quotes within next 24 hours. Our apologies for the inconvenience. TemplerFX is proud to introduce new type of accounts: UniversalFX. The accounts allow our customers to trade Forex, CFD, Commodities market from one account with all advantages of micro and standard lots, leverage up to 1:1000 and interbank narrow spreads and execution. TemplerFX informs its clients about changes in trading conditions according to the new marketing campaign of the Company. Since 5th of June ,2015 for all types of accounts withcurrent balance less then 1000 USD/EUR (or equivalent to this sum) the 1:1000 leverage will be available. Increasing of the leverage offers our clients to trade with less margin, and can help to realize more complicated trading strategies. We are glad to inform you that we’ve improved the conditions for those clients, who trade using MuslimForex( SWAP free) accounts. Starting May, 11th, no commission will be charged for trades opened and closed using Muslim accounts. From now on, our clients won’t be charged a commission for their orders when trading at their MuslimForex accounts. All current and new Templer clients are eligible to take part in Templer's 2015 Spring Bonus Campaign. Qualifying clients earn a 10% bonus credit on all deposits between March 30th 2015 and April 24th 2015 up to a cumulative bonus amount of $2500 per account. Get an extra +5% (+15%in total) Bonus for bank wires , 2.5%( 12.5% in total) for PayAnyWay™ transfers and +2%( 12% in total) for Payment via payment terminals(Wallet One™)! LOWER spreads. FASTER execution. BIGGER potential. You can learn more about the changes on our "Trading Terms" page. We would like to remind you that from 8th March, 2015, the USA is moving to summer time. European countries will move to summer time 3 weeks later (29th March, 2015). The trading timetable will be affected as follows: FX, Commodities, Binary options tools are to close 1 hour earlier at 22:00 CET , Friday. CFD symbols are to open at 15:30 CET and close 20:45 CET. This timetable may be subject to further changes. Templer FX keeps on improving its services and their quality and in this connection we’re introducing a new pricing format with 5 decimal places on all FX quotes. This innovation allows us to provide our clients with tighter spreads in many popular currency pairs, more accurate pricing and execution. Starting from March 16, 2015 you’ll be able to test your trading strategy on all accounts with the 5 decimal points pricing format. If you have open positions running they will be automatically adjusted to the new format. 1. Please be aware that the new price feed implementation will affect your Expert Advisors. To make sure that your EA is brought into line with this change you must adjust settings of your pending orders «Buy Stop», «Sell Stop», «Buy Limit», «Sell Limit» and «Stop Loss» and «Take Profit» settings as well as any other pip value related parameters by multiplying your current levels by 10. For example, if you are currently using a stop loss level of 40 pips and a take profit level of 80 pips on each trade, in order to bring your EA in-line with the new pricing format, you must change your take profit level to 800 and your stop loss level to 400 respectively. 2. In similar fashion to EA’s, some indicators could be affected by the new pricing format. To make sure your particular indicator works as you expect we advise that you contact your indicator provider to implement the necessary adjustments. 3. The levels of all manually set orders: «Buy Stop», «Sell Stop», «Buy Limit», «Sell Limit», «Stop Loss» and «Take Profit», that are expressed in points should be multiplied by 10. For example, if you want to open a short position at 1.34500 and you would like to place a take profit order at 1.34100, you should input 400 points as the take profit amount. 4. When selecting a «Trailing Stop» value please be aware that all the values listed have already been multiplied by 10. 5. So if you would like to set a «Trailing Stop» of 40 pips, you should select 400 as the trailing stop value. 6. All profit / loss values expressed as Points in the Profit column under the Trade tab already incorporate the 5th decimal place adjustment. 7. The maximum deviation feature allows clients to ensure trade execution within a specified number of points/pips. In order to accommodate the new pricing format you must multiply the desired value by 10. For example, if you would like to ensure being filled within 5 pips of the current quote, you must input 50. Dear customer, Templer FX is thoroughly selecting liquidity and data providers in order to offer the best quotes and execution. Though despite filtration glitch quotes are still part of our business. Please note that one of our providers has let several glitch quotes infiltration for _EN ( WTI Oil) symbol. We've already turned this data source off. All TP, SL, SELL STOP, BUY STOP, BUL LIMIT, SELL LIMIT and any market orders affected by nonmarket prices are to be cancelled/edited with reference to real market quotes within next 24 hours. Our apologies for the inconvenience. For more detailed information contact our Customer Service team by phone +44 20 33557076 from 8:00 CET to 21:00 CET, Monday – Friday.